Kevin Harvick, driver of the No. 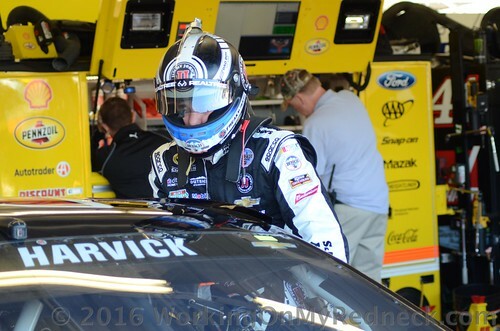 4 Busch Hunting Chevrolet SS for Stewart-Haas Racing (SHR), experienced a mechanical issue that resulted in a 38th-place finish Sunday in the postponed Bank of America 500 NASCAR Sprint Cup Series race at Charlotte (N.C.) Motor Speedway. Harvick started from the pole position in a race that was originally scheduled for Saturday night, but torrential rain from Hurricane Matthew forced the race to be postponed and rescheduled for Sunday afternoon. The 2014 Sprint Cup champion led the first 12 laps of the race, but a loose handling condition dropped him to third by the competition caution on lap 25. Harvick then brought the Busch Hunting Chevrolet to pit road for adjustments and restarted in third on lap 31. 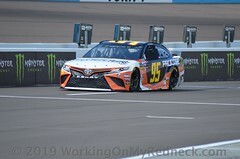 The Bakersfield, California, native continued in the top-five and raced his way back up to second before returning to pit road under green-flag conditions on lap 113. 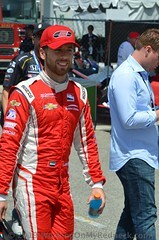 He returned to the racetrack following the stop and raced his way back to the eighth position. When a caution came out during the pit cycle, he fell a lap down to the leaders. 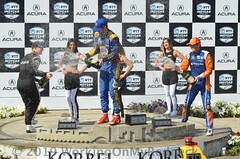 He was awarded the free pass as the first car a lap down and restarted the race in seventh. 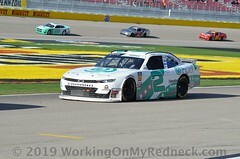 Harvick once again continued his march toward the front and had made his way up to fourth when he told the team over the radio that he was experiencing mechanical issues. He brought the No. 4 Chevrolet to pit road so the team could take a closer look. The racecar was taken to its garage stall for further review, and it was determined that repairs could not be completed in time for Harvick to return to the race. The dozen laps Harvick led to start the race brought his 2016 season total to 1,231. Kurt Busch, driver of the No. 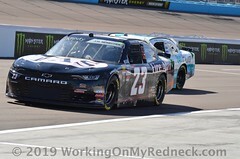 41 Haas Automation/Monster Energy Chevrolet SS, led the four-car SHR contingent Sunday at Charlotte by finishing eighth. It was his 19th top-10 this season and his 11th top-10 in 33 career Sprint Cup starts at Charlotte. Tony Stewart, driver of the No. 14 Mobil 1/Rev The Vote Chevrolet SS for SHR, finished ninth to score his eighth top-10 this season and his 14th top-10 in 35 career Sprint Cup starts at Charlotte. Danica Patrick, driver of the No. 10 Aspen Dental Chevrolet SS for SHR, finished 11th. Jimmie Johnson won the Bank of America 500 to score his 78th career Sprint Cup victory, his third of the season and his eighth at Charlotte. Matt Kenseth finished 1.474 seconds behind Johnson in the runner-up spot, while Kasey Kahne, Ryan Newman and Kyle Larson rounded out the top-five. 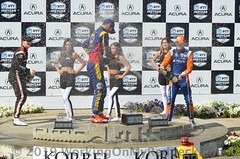 Kyle Busch, Brad Keselowski, Kurt Busch, Stewart and Jamie McMurray comprised the remainder of the top-10. There were eight caution periods for 51 laps with nine drivers failing to finish the 334-lap race around the 1.5-mile oval. Busch and Harvick are representing SHR in this year’s Chase for the NASCAR Sprint Cup and after Charlotte – the fourth race of the 10-race Chase – they rank fifth and 12th, respectively, in the Round of 12. Busch leaves Charlotte with a 24-point margin over ninth place. Harvick is 12th, eight points out of the top-eight. Following the sixth race of the Chase at Talladega (Ala.) Superspeedway, only those Chase drivers who have won a race or are among the top-eight in points will advance to the Round of 8. The next event on the Sprint Cup schedule – the fifth race of the Chase – is the Oct. 16 Hollywood Casino 400 at Kansas Speedway in Kansas City. The race starts at 2:15 p.m. EDT with live coverage provided by NBC.